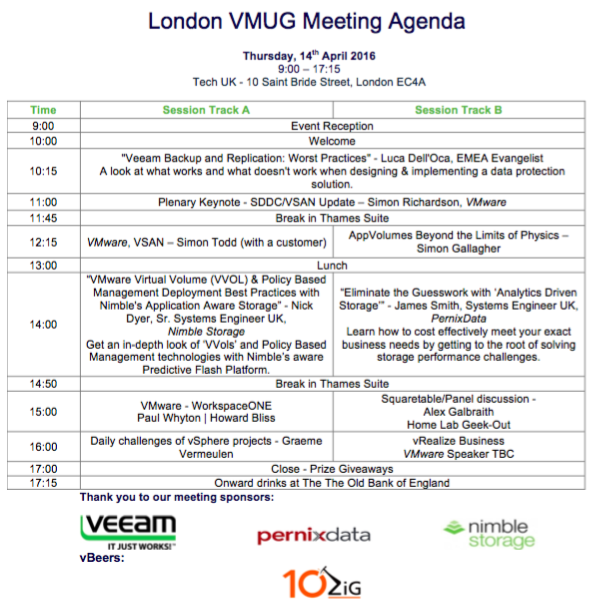 So this is just a very brief post to firstly say don’t forget it’s the London VMUG on 14th April 2016, at Tech UK (10 Saint Bride Street, EC4A). There are a load of really interesting sessions coming up, both vendor and community. We have a keynote from Luca Dell’Oca who provided one of the best non-vendorised vendor sessions I have ever seen at a VMUG (his session title this time sounds like he may be looking to up the ante!)! We have loads of sessions on VSAN including the 6.2 updates (also see the Storage Field Day 9 sessions here for a deep dive on that). We even have a session from the London VMUG leadership team’s “Darth Vader” himself, Simon Gallagher, talking about App Volumes! It should be an awesome day! 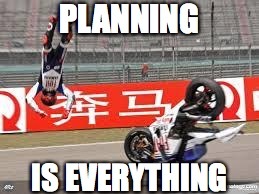 If you want to come along and be part of a slightly unique session, never been seen before, never been done before, and will probably never be done again (especially if when all goes pear shaped! ), then feel free to come along to the Open Homelab project session I will be attempting to herd / steer / keep on the rails! I suggested a few months ago to Simon G that we do some roundtable sessions at the London VMUG and volunteered to run some as an experiment. These are my favourite sessions at the UK VMUG as you get a dozen or so people round a table and chew the fat on a specific subject area. It turns out that we don’t actually have anywhere in our new venue to run this session for a small group, so instead, it’s been converted into a “square table”, i.e. “no table” session in one of the standard rooms instead! Running a roundtable with a room full of people is certainly going to be a challenge, a bit of an experiment, and worst case scenario it all falls apart and we never do it again! Yay! But, hopefully it will actually be a really worthwhile session, and I plan to share the results here afterwards as kind of a crowdsourced homelab advice tree or something! To be honest with less than two weeks to go I haven’t really figured out the details yet, but rest assured by a week on Thursday, I will at least have the title decided!